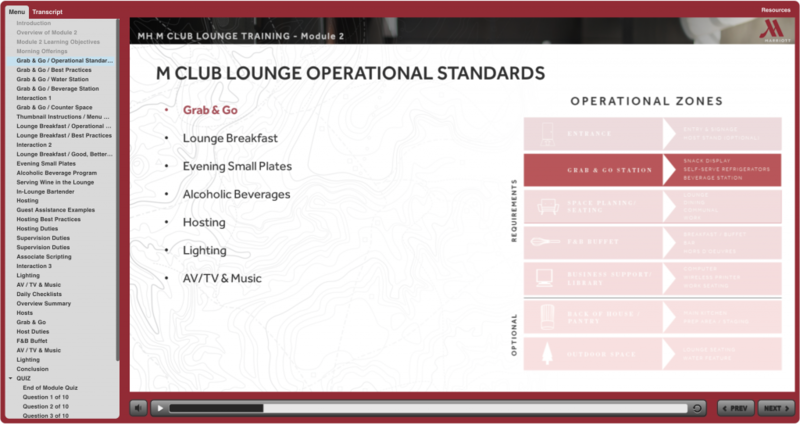 Marriott MClub Orientation - MetaMedia Training International, Inc. 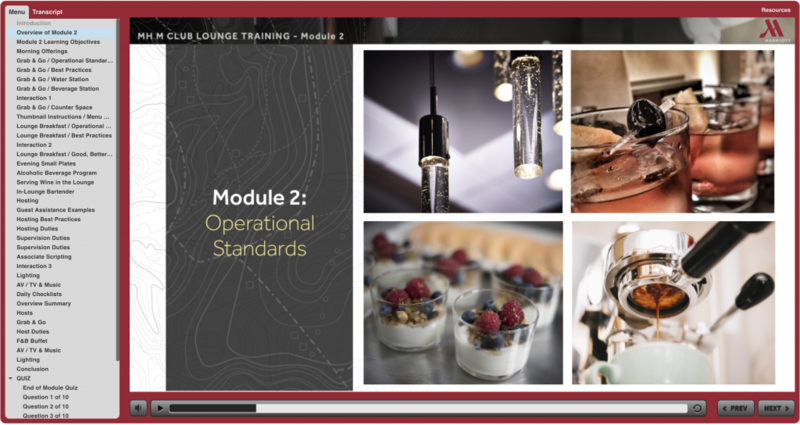 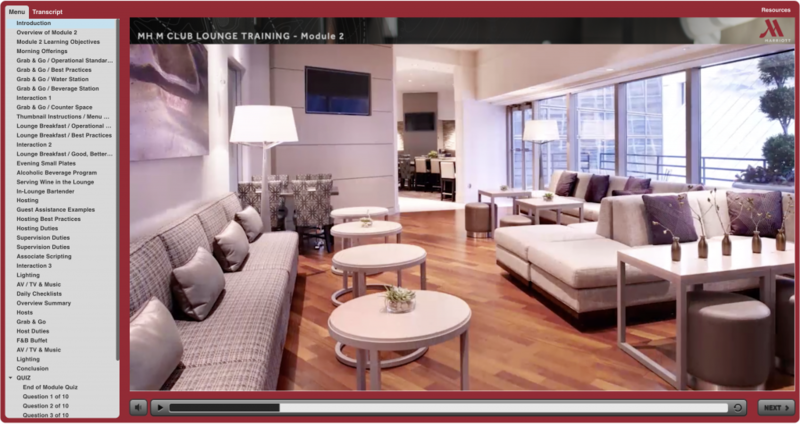 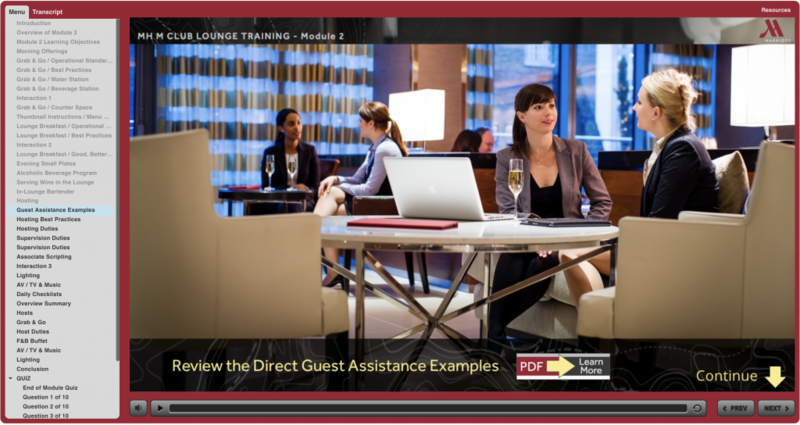 Description: This photo centric eLearning program was design to help orient Marriott employees to the MClub standards. 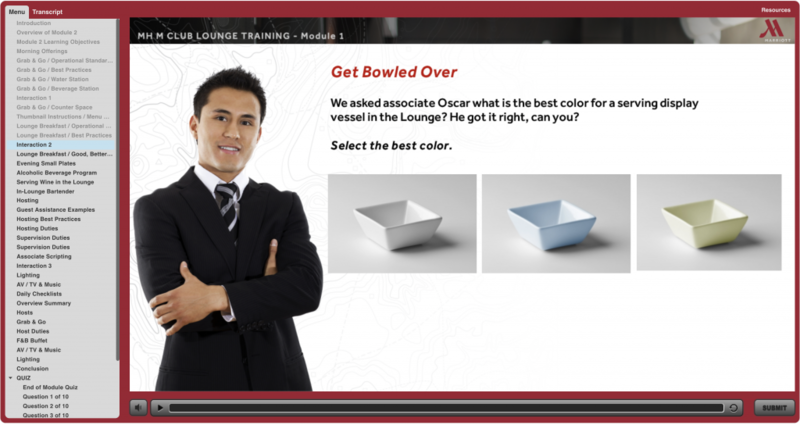 This program was developed using Articulate Storyline 2.